Kenyan Educational Support: New Computer Laboratory! 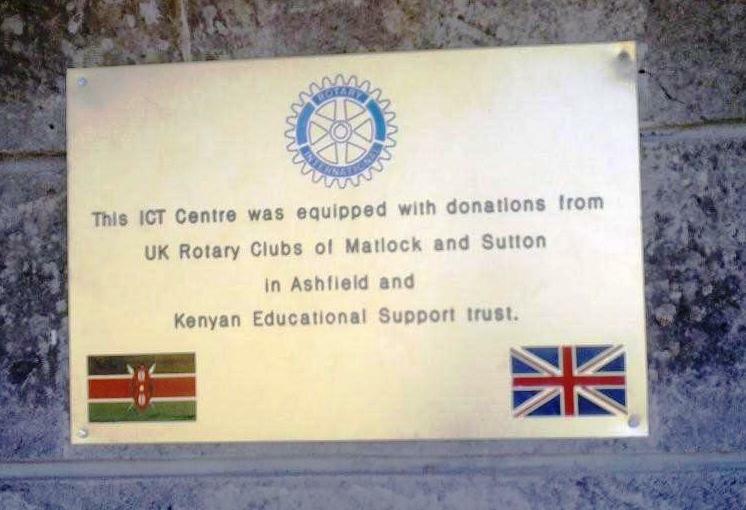 The Rotary Clubs of Matlock and Sutton-in-Ashfield both made donations towards BDA's new Computer Lab last year. The Lab was offocially opened in December and is now furnished with a thank you plaque! 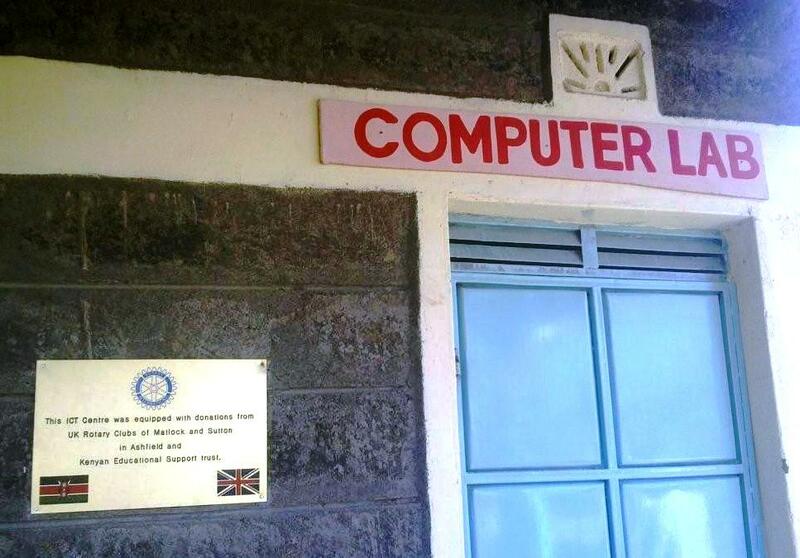 Joseph emailed to say, "Once again, we thank you for your efforts in raising the funds for this project. 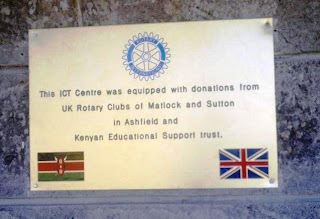 Incidentally, if any of the members of Matlock and Sutton in Ashfield Rotary Clubs are ever in Kenya , we would like to make a standing invitation to BDA to a ceremonial unveiling of this plaque. We thank for your support throughout the journey to making BDA what it is today. 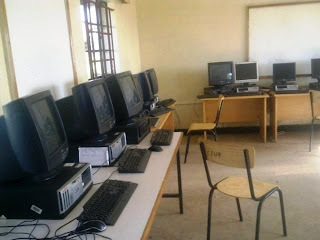 We are eternally grateful"
The new technology teacher Eunice Mungia, who started in January said, "As you know, our ICT facility here at BDA is new and we are still in the process of equipping Computer studies learning resources. Please feel free to link with us!" John has linked with Eunice and is using his contacts to identify programs to be shared across the land and via the ether! There is also a potential link with All Saints Church of England School in Leicestershire. John will be visiting the school to talk about BDA, show some pictures and may even sing, "There was an old lady who swallowed a fly!" Trustees are also exploring support for the purchase of books for the library. 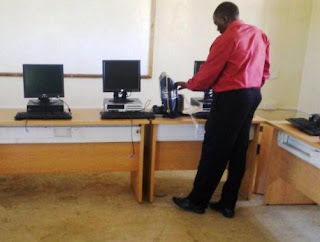 Meanwhile Simon and Nicky continue work at the business end of things: fundraising, receiving reports of student progress - all the sponsored children are doing well. Simon has offered to do talks to a range of clubs and societies as we are always looking for support. We also have a Trustees meeting due in March. Anyone wanting to support us should feel free to make contact. We have no hesitation in speaking up for, what we feel is, a worthy charity, making a real difference in Nakuru.